Changing Ourselves, Not Others | It's In The Sauce! With a new year well underway, it is time to take stock of how it is going. How are your New Year’s resolutions? Have you kept your commitments to yourself? I need to be honest; mine aren’t going so well. The weight is still not in control, and I haven’t done much to change that. But it is still early in the year, and I can course correct. I hope that you are happy with your progress, and if not, that you will do something now to change that. Change is constant, and lately, it is accelerated. We can certainly look at our elected officials if we need an example of massive change. We are living in an unpredictable world, and the ambiguity grows every day. Much of what is happening in our political arena we have little to no control over. But even so, many people are trying to convince others that their choices are the right ones. If this is something you have been doing, how is it going for you? Do you have any converts? Only time will tell if we are making the right decisions for the best of our country, and for our country’s place in the world. In the meantime, perhaps we should let others be who they are, and work on ourselves a little more. If we can’t change others or the external circumstances, perhaps we should let all of that go and work on ourselves. There is an organization I just recently heard of (thank you niece Lisa!) dedicated to helping others have respectful conversations. 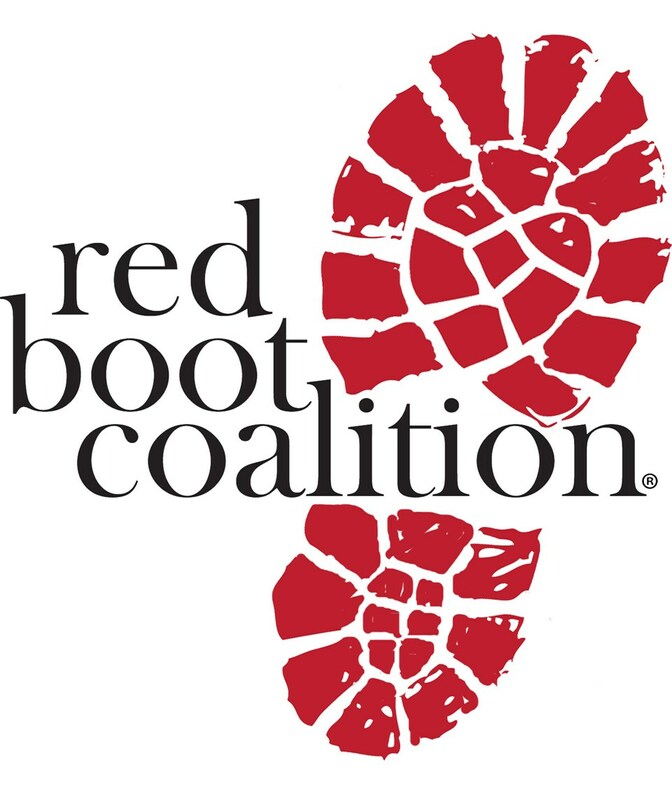 The organization is the Red Boot Coalition, and its mission is: “By engaging in honest sharing and compassionate listening, inspired by the Red Boot Eleven Steps, we create places where people feel safe, connected and loved.” Those are powerful words, “feeling safe, connected, and loved.” I encourage you to google the Red Boot Coalition, and you will find much information about their work. What you will NOT find is any mention of changing others. There are three things we can do if we want to feel connected with and valued by others, and none of them are about changing others. Our relationship with others changes when we change, not when they change. The first change we can make within ourselves is to listen more and better. When we choose to listen more compassionately to others, it just makes sense that they will respond in kind and listen more compassionately to us. If we want to be heard more, we should listen more. Too often we spend so much time talking that we can’t be heard. The second change we can make is to ask more and better questions. These are not, however, questions that interrogate. A friend of mine has a saying that she uses about asking questions. “Asking questions is the lowest level of communication.” What she is referring to is asking questions that feel like an interrogation, which are not questions to reach understanding. Asking questions that help us reach mutual understanding should be our goal. And reaching mutual understanding is not the same thing as agreement. We do not need agreement to feel valued, but we do need to feel understood. The third change we can make is to communicate with others based upon their dominant communication style, not ours. Doing so may result in us changing how we say what we say. If we are too direct with someone who is more of an indirect communicator, we can too easily close them down. Also, if we communicate indirectly with a direct communicator, we may not be understood at all. This is a great application of the difference in the Golden Rule and the Platinum Rule. The Golden Rule is “Do unto others as you want done unto you.” The Platinum Rule is “Treat others the way they want to be treated.” (Credit to Dr.Tony Alessandra.) In a world of greater diversity, the Platinum Rule serves us better. This approach, changing ourselves, is not as easy as just saying what we think, without regard for how the other person can best hear it. It is, however, the best way for us to “create places where people feel safe, connected, and loved.” Thank you for this insight, Red Boot Coalition. February is the Love month. I want to spend more time showing love in my communication with others. Will you join me? This entry was posted in life, Relationships and tagged change, love, Red Boot Coalition, relationships. Bookmark the permalink.